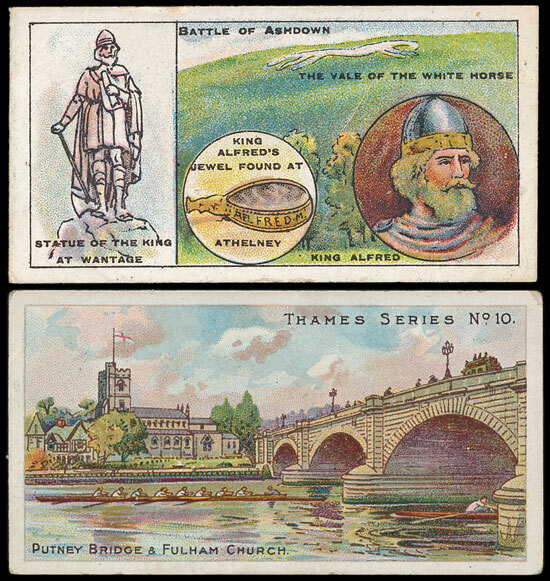 The cigarette card section of the sale contained a substantial number of collections and accumulations. These achieved mixed results, but a good selection of these achieved figures in excess of their estimates. A lot containing football sets by Hill, Mitchell, Phillips and others estimated at £400 realised nearly £450. A collection of sets by Ardath, Churchman, L & B, Ogdens etc estimated at £300 realised over £480, a mixed lot containing sets by Boguslavsky, Carreras, E.R.B., Hignett and many others estimated £220 made nearly £300 and a mixed lot in 4 boxes estimated at £100 realised £188. The individual British sets proved popular overall with some notable results including a Boguslavsky Conan Doyle Characters (Black Back) set estimated at £60 realising £94, a Pattreiouex Footballers In Action set estimated £100 achieved £118, a Smith Battlefields of Great Britain set estimated at £200 made nearly £250, a Smith Prominent Rugby Players set estimated £100 made over £150, a Taddy Thames Series set estimated at £180 realised over £200 despite all cards having some light wear, a Wills Football Series set estimated £160 made £212 even though 12 had some light staining and a Wix Kensitas Flowers Postcard size set estimated at £350 realised over £420. 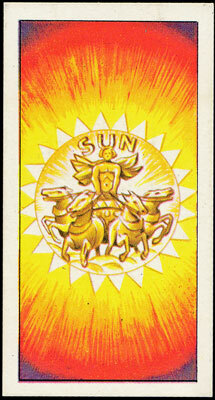 The sale contained a varied and interesting trade card section, with strong results being achieved throughout. A lot containing sets by Daily Ice Cream, Primrose, Priory and others estimated at £300 realised nearly £440, another mixed lot with a selection of sets by Como, Packer, Pluck and Thomson among others made £365, a lot of football sets by Amalgamated Press, Sherman’s, Thomson and others estimated at £160 realised over £340 and a collection of Liebig cards estimated at £300 sold for nearly £550. A small selection of individual sets also brought good results with a Brooke Bond Out Into Space (“Issued With”) set estimated £100 realising £140, a Sunday Empire News Famous Footballers of Today (Durling) set achieved over £70 despite having several staple marks and a Thomson Footballers – Motor Cars (Double-Sided) set estimated £60 realised £82. Our next auction is on 18th May 2016. 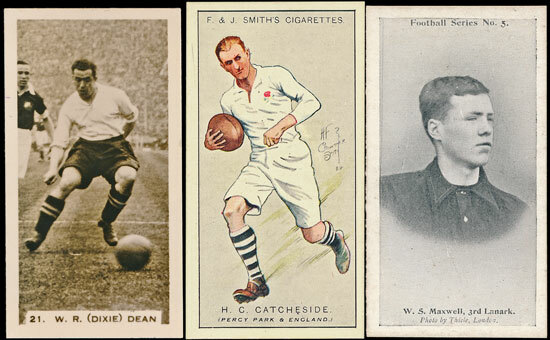 We will be offering a selection of accumulations and individual cigarette card sets. There will also be a good trade card section with several collections on offer as well as some individual sets, with a Henderson General Interest Series set among the highlights.